JointCAM is a toolpath/g-code generator for making traditional woodworking joints on a CNC router. JointCAM makes it easy to layout and design woodworking joints without the complicated and time consuming CAD/CAM process normally needed. JointCAM can take you from idea to finished joint, quickly, and easily. For years, CNC router users have been looking for a method to easily create toolpaths and g-code to cut dovetail joints on their machines. Previously, this involved complex CAD drawings, followed by tedious CAM work setting up toolpaths. Box joints have been traditionally cut using jigs on table saws and router tables. Now, JointCAM brings box joint capabilities to your CNC router. JointCAM makes creating dovetail and box joints easy. Just set a few basic parameters, and JointCAM will automatically create the toolpaths and export the g-code for your CNC router. JointCAM currently has half blind dovetail, through dovetail, both standard and rounded box joint capabilities, and mortise and tenon joints. Typical router cut dovetails are limited in depth (length), width and spacing by the specific bit being used. JointCAM gives you the freedom to design an infinite variety of dovetail joints, regardless of the bit being used. The only limit is the length of the bit being used. Traditional box joint jigs were limited to simple, evenly spaced joints with equal size fingers. JointCAM can create these traditional box joints, along with automatically created variable spaced box joints, and completely custom user defined box joints. JointCAM displays a preview of the joint before you export the g-code, allowing you to quickly see the end result as you adjust the parameters to achieve the ideal joint for your specific application. JointCAM's toolpaths are optimized to give smooth motion, using arcs whenever possible during direction changes. In addition, much effort has gone into the toolpaths to minimize tearout and chipping. JointCAM can produce both standard g-code (RS-274D) or Shopbot OpenSBP language files. G-Code output can be customized to work with Mach3/Mach4, LinuxCNC, WinCNC and others. For Shopbot machines, JointCAM supports Dual Z axis machines, as well as ATC machines. JointCAM uses an integrated tooltable to keep track of your tooling, and allow you to quickly select the right tool for the job. No need to enter tooling information each time you want to cut a joint. 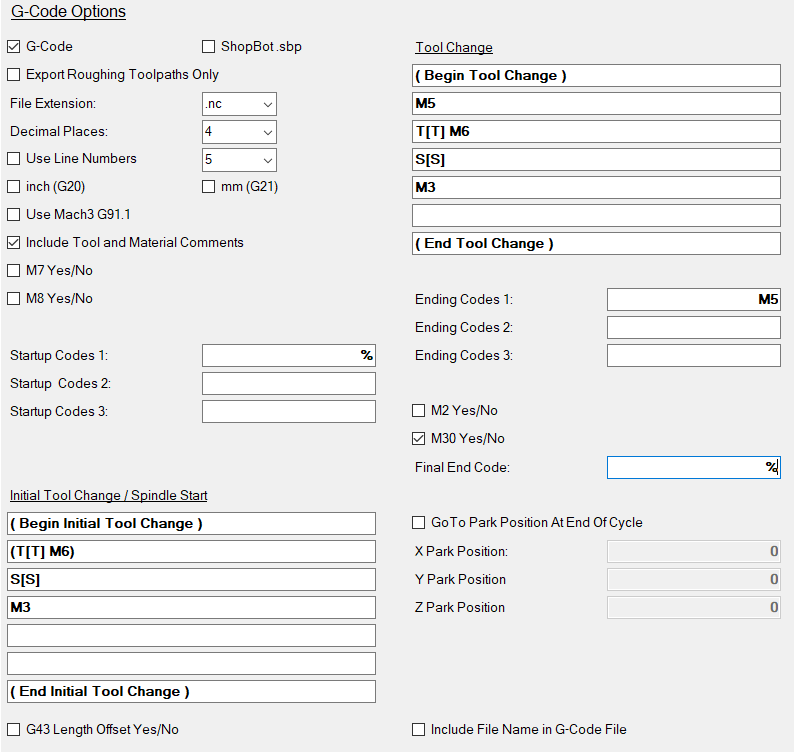 Once tool parameters are entered into JointCAM's tool table, they can quickly be called up when needed. Router cut dovetail and box joints require at least one half of the joint to be cut while held vertically. In order to machine joints created with JointCAM, a CNC Router must be capable of mounting boards in a vertical position. This typically requires a custom made jig or fixture mounted to the machine.